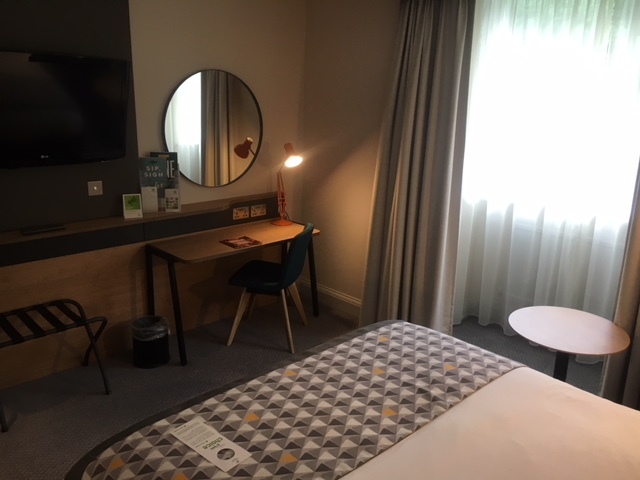 Last week a couple of us took some time out of the office to go and see the newly refurbished Holiday Inn Coventry M6 Junction 2. 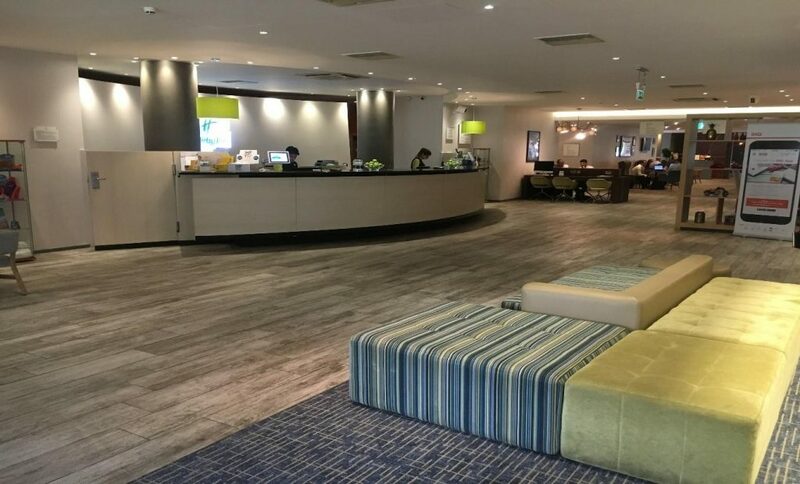 Along with refurbishing the bedrooms and meeting spaces, the hotel has also now adopted the new ‘Open Lobby’ concept that is being put in place throughout the hotel chain. The hotel can now offer more event space for your next meeting or conference along with a relaxing atmosphere for you to unwind in at the end of the day. Upon arrival, we were impressed by the lobby and the warm and welcoming feel this created whilst still being the ‘hub’ for all the hustle and bustle going on in the Hotel. With the bar, restaurant and some flexible ‘chill out’ space equipped with computers, all located next to the lobby and each other, you can pick and choose how you want to spend your free time but also have a pleasant area to work in should it be needed in the evenings. If you need to grab some lunch or dinner, then the stylishly transformed restaurant offers you fast and friendly service along with a stylish setting and a wide selection of meal options. The hotel boasts 158 bedrooms with a fresh and bright design. With plenty of light, the rooms had a lovely open feel to them. 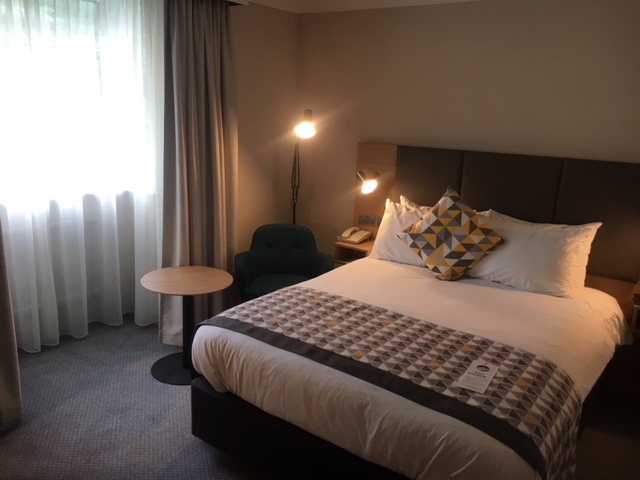 We were personally very impressed – the rooms are cost-effective, clean and modern. 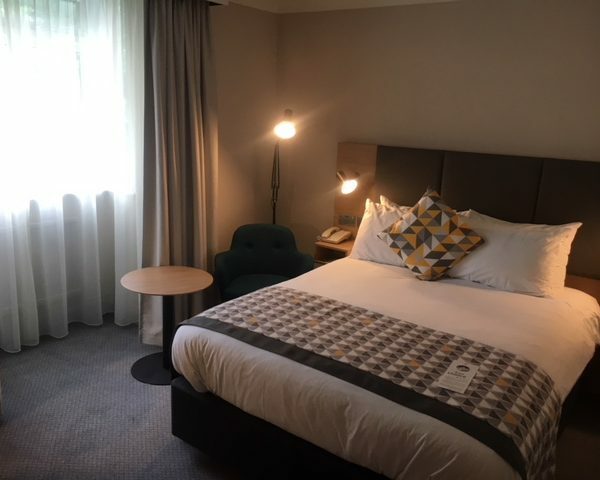 The hotel has 20 spacious and flexible meeting rooms, all of which have the latest Audio-Visual equipment and if you are someone who enjoys natural daylight during a meeting – they can offer this too. They’ve also been awarded ‘Highly Commended’ by VenueVerdict Accreditation. With this award being determined by customer feedback and meeting experience, you can be assured that you will be well looked after at the Holiday Inn Coventry M6 Junction 2!